I coached the Niagara District boys program for four years and last night I visited their weekend camp to deliver a session. The District program is for players in their U12 year and prepares them for an identification showcase for the U13 Regional program every fall. Our district covers the Niagara area. Our Region (Region 2) covers Hamilton, Niagara all the way up to Brampton. The players in the Regional program are working towards spots in the Provincial program during their u14 year. This system will be changed in the near future. When I arrived, I saw 28 boys and the weekend was just getting started. I decided to coach the details less and reworked the session a bit and let the boys compete and play as much as possible. It was a good opportunity to set the mood for the camp. Compete for every ball, all the time, every day. We started off by doing a warm-up exercise where the boys were dribbling at full pace down a lane-way. There were 2 players in the lane-way trying to knock your ball away. This set the mood for 1v1 attack. We then set up four 1v1 grids with mini-goals, 10x20 bordered by cones. One player serves the other and they play. We stopped them a few times for coaching points, but for the most part we let them play. The intensity level was "OK". We stepped in to influence the defending a bit and added pushups for the loser of each play-down. The intensity went WAY UP, quickly. Now, we were getting the boys ready for their showcase event. For near shape, do not stand behind a defender who is pressuring your teammate. By checking back at an angle you open up the ability for 1v1, give-and-go or a simple pass. This was going well and got better when we made it a tournament. The boys had pizza coming afterwards and the prize was the winners had their pizza served to them by the others. When I saw how many boys there were upon arrival I had a nightmare of coaching details while a lot of restless boys listened. We were successful in keeping the group active and moving with a ball. I was hoping to arrive earlier to have everything setup for the boys when they arrived. As a guest coach you don't want the players standing while you run around setting up your session. It ended up being ready for the boys by 6pm, but I would have rather spent that time goofing around and getting to know them. It was satisfying to see them all playing and whooping it up, and sticking to the theme of the evening. I was also happy to be able to share some insight with them regarding the type of player who advances through the identification process. It was also nice to see 8 boys that I've worked with before. Letting a player know you remember them is important for their self-esteem. 27 players, 4 days, LOTS of soccer. Soccer Camps are always a good experience for me. 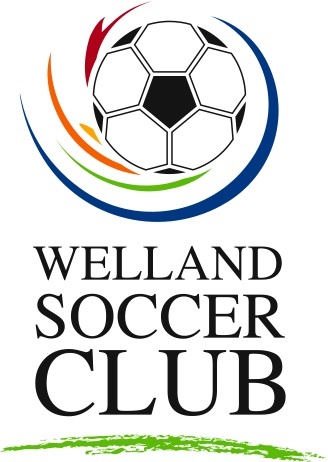 This past week we ran a soccer camp under an old project name that I started a few years ago, smartsoccer.ca . I can’t summarize how much I enjoyed it in a single sentence. We opened the camp up to players ages U9-U12, male and female. The content was in support of LTPD and it could not have worked out better. The feedback from parents was encouraging and the enthusiasm of the players was motivating. We spent 60 minutes of each day on individual ball work and Agility/Balance/Control. The rest of the day alternated between technique and applicable small side games to apply those techniques. All games started with offering a few ideas then letting them play. Using LTPD as a framework made organizing and planning the camp very simple. I organized the camp and was helped by my two older sons and a former player from the Niagara College Women’s team that I coached. I’ve worked several camps in the past but I enjoy implementing my own vision. The camp was a success. I have a few tweaks I would make t the organization and content, but that would be with any organized event. Olivia Page was a hard-nosed, well-coached central defender when she came to Niagara and she has taken an interesting coaching. She will be successful and I will utilize her talents again. All of my sons played for me for several seasons. Watching them work with players and listening to them I realized something … they really were listening to me and my assistants all those years! You might hear people say time without the ball is time wasted. I disagree. Sometimes it's good to put the balls away for a while and just run. We've had some fairly weak efforts the last few weeks, in terms of physical work rate and desire to "run yourself tired". This week we have no game, so Coach Paul and I had a nice session with a lot of running. Coach Paul has good ideas in this department and we ran several different drills to keep the kids moving. Fitness and physical literacy were the orders of the day. And we both know that the kids do enjoy a nice workout on occasion. There are plenty of drills that involve ball work and fitness, but the kids need to learn to train and build their aerobic system the old fashioned way. We had our pre-season fitness sessions, but we like to revisit the issue when we have a break. Now that they are 13 and well into puberty,their bodies will respond better to endurance work. We have two more sessions before our next game. The next session will involve balls and some running then the third will aim specifically for our game.